Back in March of 2015, we ran a quick little article on “The Most Beautiful Cars Ever Built” wherein each TopSpeed staff writer was asked to submit their personal pick for the honorary title. 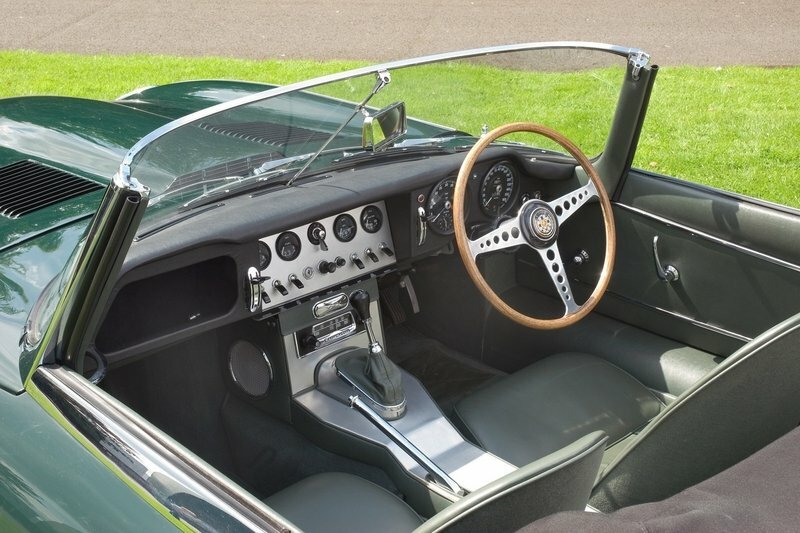 Mine was the Eagle E-Type Speedster, because as I said in the piece, “every angle is heavenly. The body panels transcend time. 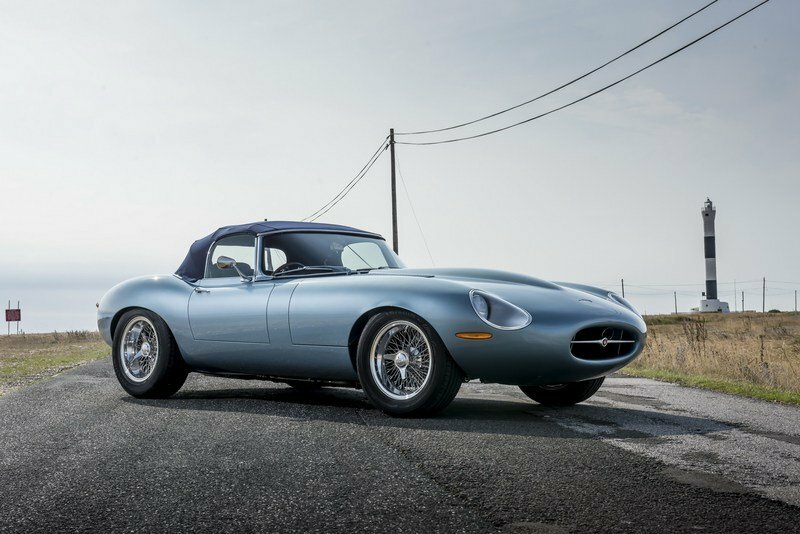 On looks alone, the Brits have done it right here.” I still think that’s true, but now, Eagle is at it once again with this angelic creation – the Eagle Spyder GT. First announced at the London Classic Car Show in 2016, the Spyder GT is a lot like the rest of Eagle Special Edition lineup. 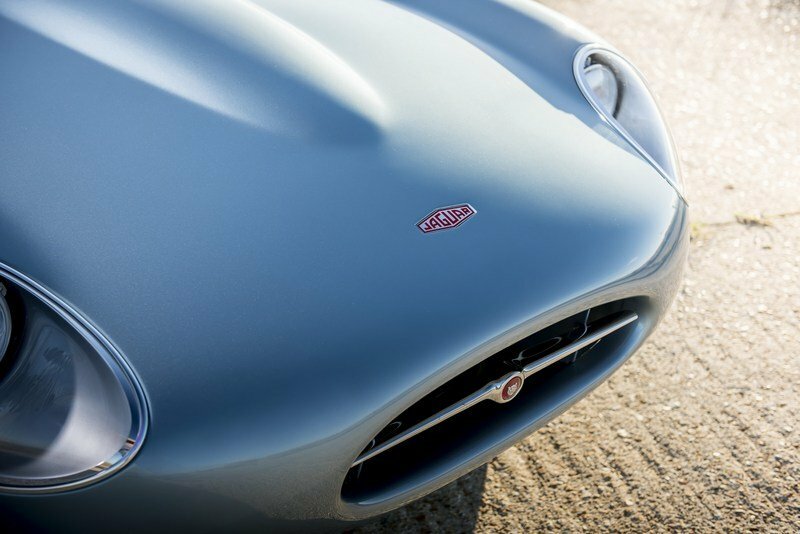 It’s essentially a highly customized Jaguar E-Type, melding old school prestige with modern hand-built excellence. It’s lightweight, comfortable, packed with modern suspension, topped with a foldable fabric roof, and quick off the line thanks to a straight-six engine with over 300 horsepower. It’s also endlessly gorgeous to look at. You could call it a “restomod,” but I think that’s a bit like calling Van Gogh’s “The Starry Night” a picture. This thing is a masterpiece, a rolling piece of artwork in every sense, and absolutely worthy of your lust and respect. 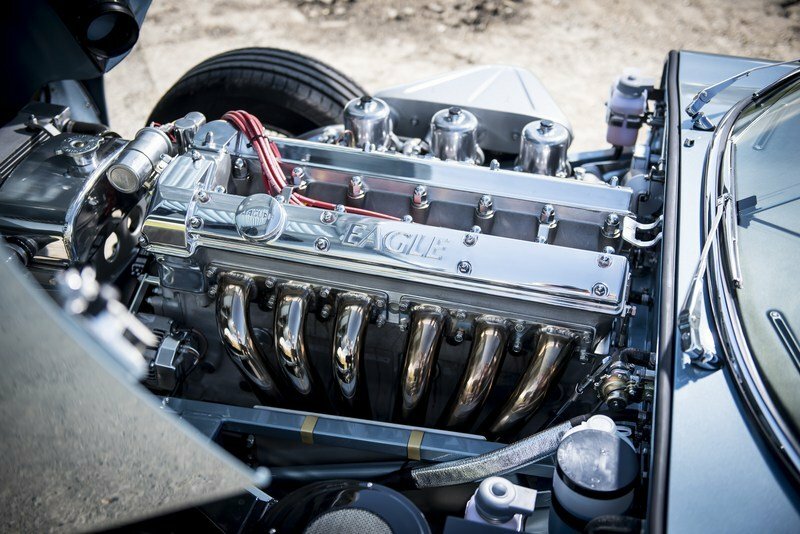 In case you were unaware, Eagle is a custom auto builder based out of the U.K. with more than three decades of experience creating bespoke E-Types. Out of that history, four Special Edition models have emerged, including the original Eagle E-Type, the Eagle Speedster, the Eagle Low Drag GT, and now this; the Eagle Spyder GT. 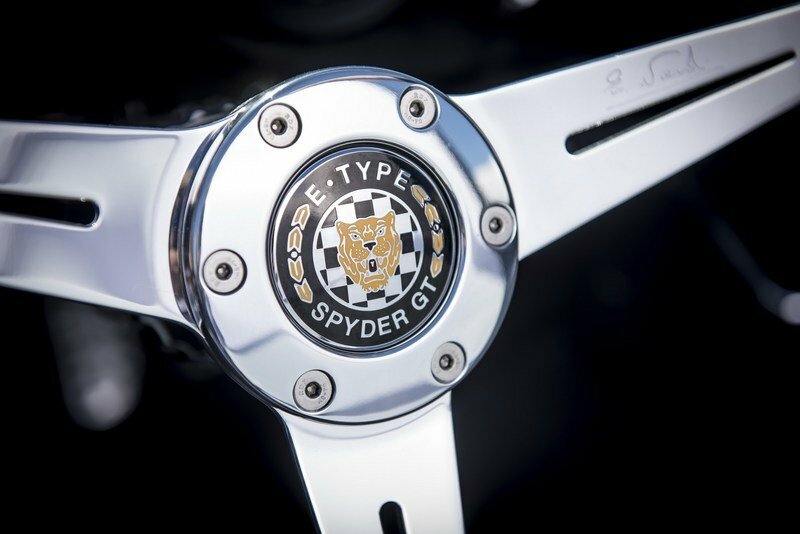 Each of the Eagle Special Edition models is destined for extremely low production numbers, and the new Spyder GT is no different. Given the level of customization Eagle can perform, customers have a huge range of options to choose from when it comes to suiting this thing to personal taste. Ready to learn more? Let’s go. Continue reading to learn more about the Eagle Spyder GT. With a history like that, it’s a mighty audacious thing to think you can improve upon the formula. But Eagle gave it a go regardless, and the result has the same beautiful presence as the original, but with more contemporary highlights. Original Jaguar E-Type Roadster pictured on the left, Eagle Spyder GT pictured on the right. Here, the Spyder GT seems to take a little extra creative license, flaring the rear arches and adding even more sporty panache. Placing the original E-Type Roadster alongside the Spyder GT, you can see where Eagle was going. The lines are quite close to the original, with a rounded, oval front intake bisected by a single chrome line. From here, the eye drifts back and into the corners, into equally shapely headlight cutouts that lead to the high front fenders. Chrome surrounds add some flash, while the original’s chrome bumper line was deleted for a cleaner look. Matching the fender lines that raise from the headlights is a prominent hood bulge, which stretches back towards a steeply raked windshield. Towards the rear of the incredibly long hoodline are the same louvered vents as the original. As we move towards the sides, the low-slung slab of speed takes on a more aggressive approach, with the rear-placed cab giving way to shapely haunches. With the top down, you can more easily appreciate the rear end in all its glory, with the top and bottom meeting at a triangular point. Here, the Spyder GT seems to take a little extra creative license, flaring the rear arches and adding even more sporty panache. The lower bumper rises dramatically, flaunting twin exhaust pipes that seem ready to erupt in a six-cylinder serenade at a moment’s notice. 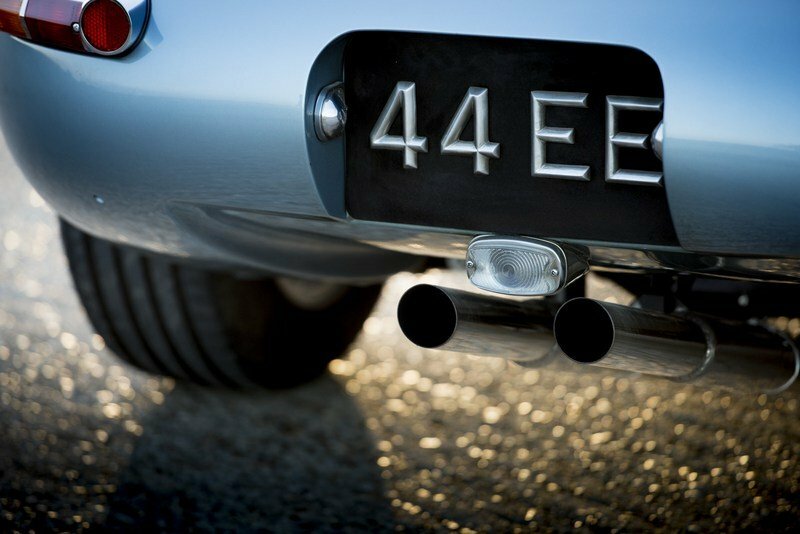 Slim, simple taillights are in the corners, looking similar in design to the original, while the old E-Type’s chrome bumper elements are once again deleted in favor of bare simplicity. There’s nothing extraneous or overly shouty about it, but the way it sits on the ground, the way it’s poised over the wheels, the way it curves and flows… there’s a magic to it that you could call irresistible. And I think that’s a good way to sum it up. One of the things I like most about the Spyder GT, and the E-Type in general for that matter, is the simplicity it offers. The shape speaks volumes on its own. There’s nothing extraneous or overly shouty about it, but the way it sits on the ground, the way it’s poised over the wheels, the way it curves and flows… there’s a magic to it that you could call irresistible. It’s the sort of look that’s mighty hard to find these days, but Eagle managed to capture it perfectly, even adding a touch of modernity and a splash of uniqueness without ruining it. And that’s no easy feat. Underneath those shapely fenders, you’ll find customized 16-inch wire wheels, polished to a brilliant finish and wrapped in modern tires. Placed side by side with the original model from the ‘60s, you can see Eagle’s approach to customizing the E-Type’s interior is a lot like it’s approach to customizing the exterior. The same, broad strokes of the original are retained, while updates were added in just the right places to enhance what was already there. 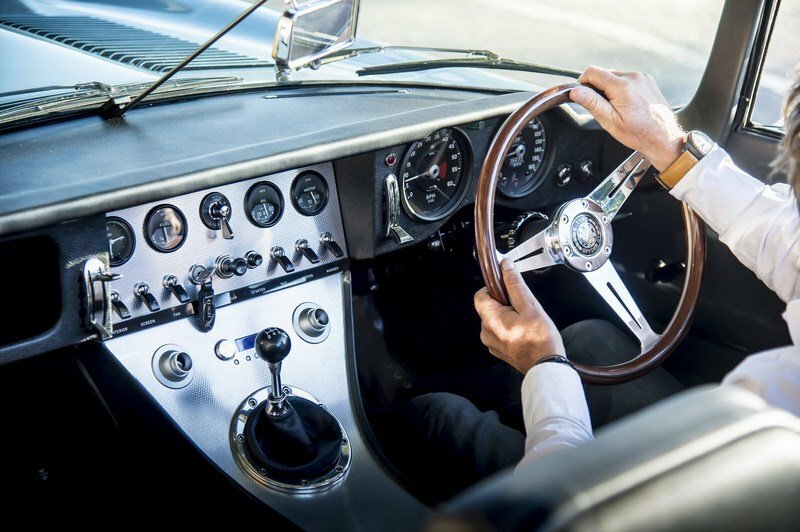 The steering wheel remains a three-spoke unit with a polished metal structure inside and wood trim along the rim. Behind the steering wheel are two large gauges for speed and engine rpm. In the foot well, you’ll find three metal pedals. Probably the biggest upgrade that I can see is that swooping center console, which bisects the right and left side of the car much more definitively in a graceful, narrowing bend reaching towards the floor. Moving over to the center console, Eagle incorporated a broad, “sweeping” layout for the various toggle switches, buttons, and the shifter. The four-gauge layout up top is retained, while the shifter ball rests above a black shift boot. Leather upholstery is everywhere, including most importantly on the seats. Eagle says customers get a huge number of customization options to pick from, and I presume this includes the materials, colors, and similar features. In all, Eagle contends this car is for grand touring, which translates as sporty performance when you want it, and comfortable cruising when you don’t. That said, I would have preferred to see Eagle go a little deeper in upgrading the interior. Probably the biggest upgrade that I can see is that swooping center console, which bisects the right and left side of the car much more definitively in a graceful, narrowing bend reaching towards the floor. It’s a tasteful new take on the more squared-off approach of the original E-Type, and although the overall look and layout is still most definitely old school, it doesn’t look antiquated. That said, I would have preferred to see Eagle go a little deeper in upgrading the interior. Perhaps a slightly newer shape for the dash, or a little more modern touch to the analog gauges would do the trick. After all, with an exterior that looks so damn good, you gotta have a cabin space to match, even if it means breaking a little bit more from the old E-Type design. 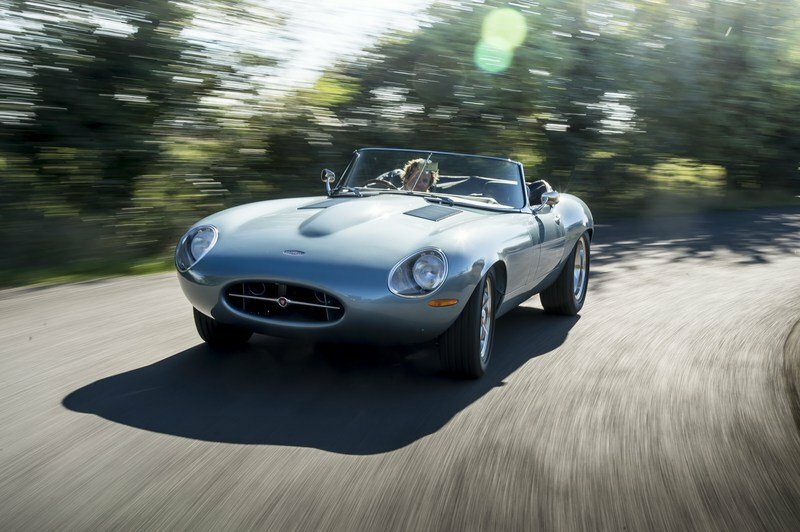 As you might expect, under its elongated nose the Eagle Spyder GT is equipped with a classic inline six-cylinder engine from Jag’s XK family. In fact, it’s pretty much the same big-valve twin-cam straight-six that Eagle used with the Low Drag GT. 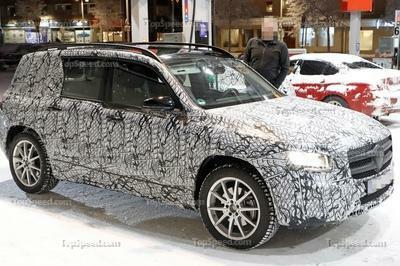 Displacement comes in at 4.7-liters, with all-aluminum construction, mounted longitudinally ahead of the cabin. Eagle worked with Crosthwaite and Gardiner, a U.K.-based historic racing parts supplier, to develop the engine, and the whole thing was cast and machined in Eagle’s “surgically clean” engine facility. Thanks to unique internals components, power is rated at an ample 330 horsepower at 4,800 rpm and 340 pound-feet of torque at 3,600 rpm. Every ounce of power is routed to the rear axle by way of a five-speed manual transmission, and gets split by a limited-slip differential. Power is rated at an ample 330 horsepower at 4,800 rpm and 340 pound-feet of torque at 3,600 rpm. Every ounce of power is routed to the rear axle by way of a five-speed manual transmission, and gets split by a limited-slip differential. It’s enough output to propel the Eagle Spyder GT to 60 mph in less than 5 seconds. Meanwhile, top speed is in excess of 170 mph. Due to the car’s relatively low curb weight, it’s enough output to propel the Eagle Spyder GT to 60 mph in less than 5 seconds. Meanwhile, top speed is in excess of 170 mph. 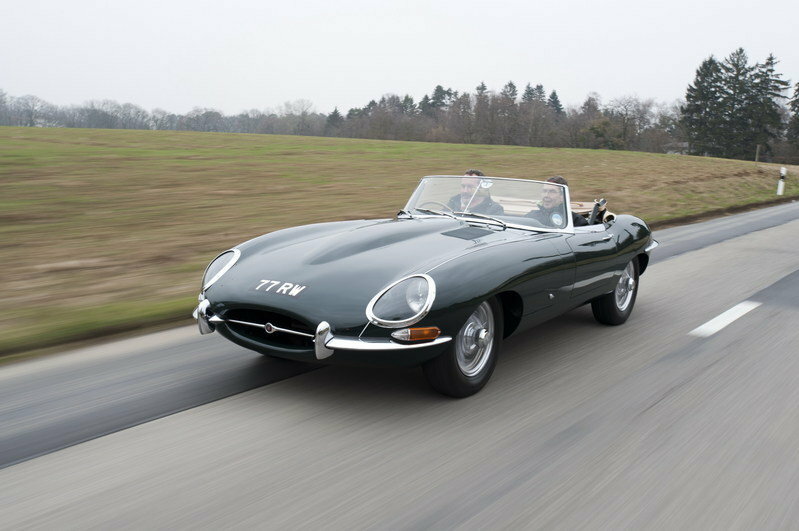 As a reference, the Series 1 Jaguar E-Type went 0-to-60 mph in 6.5 seconds and had a top speed of 150 mph. That’s mighty quick for a car like this. Pair that surprising speed potential with the crackling backfire of a British six at full song, and you have quite the recipe for a visceral driving experience. Eagle says it starts each Spyder GT build with an original E-Type to provide the bones. The chassis uses an aluminum monocoque construction, with modifications adding deeper sills, a lower floor pan, and of course, those lovely flared wheel arches. The aluminum-intensive structure contributes heavily to the car’s low curb weight, but Eagle trims even more fat thanks to the aluminum gearbox and the all-aluminum engine. Magnesium is also part of the materials list. When it’s all said and done, the Eagle Spyder GT weighs in at just 1,029 kg, or 2,269 pounds. That means its got a power-to-weight ratio of 326 horsepower per metric ton, which ain’t bad at all for a classic throwback like this. For the sake of comparison, the old Series 1 E-type’s curb weight was between 1,256 kg (2,770 pounds) and 1,402 kg (3,090 pounds). When it’s all said and done, the Eagle Spyder GT weighs in at just 1,029 kg, or 2,269 pounds. That means its got a power-to-weight ratio of 326 horsepower per metric ton, which ain’t bad at all for a classic throwback like this. 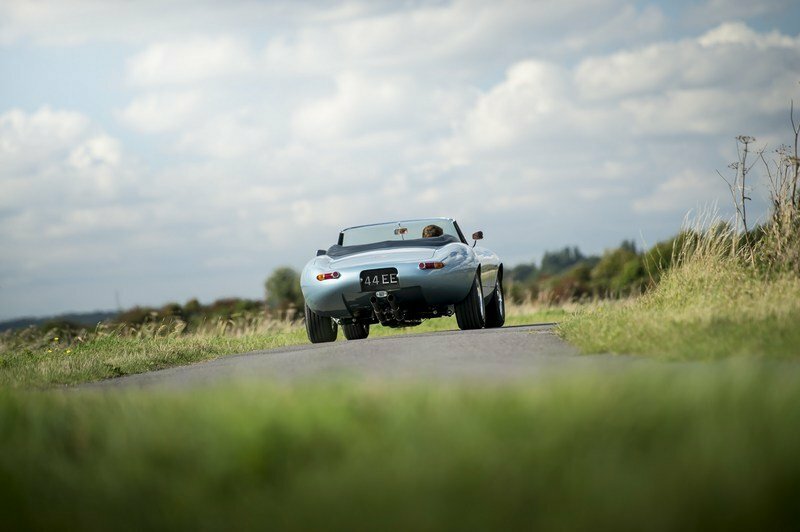 Like the E-Types of old, the Spyder GT also incorporates four-wheel independent suspension. Eagle went for a mix between comfort and performance with the tuning, adding modernized suspension bits in the quest to achieve the best of both worlds when it comes to ride quality and handling. The front uses double wishbones with an anti-roll bar, plus adjustable dampers from Ohlins. The rear uses a lower wishbone, a load-bearing driveshaft, and an anti-roll bar, and gets twin springs and additional adjustable dampers from Ohlins. Eagle went for a mix between comfort and performance, adding modernized suspension bits in the quest to achieve both superior ride quality and nippy handling. Further upgrades include new brakes to replace the E-Type’s old discs, including aluminum calipers from AP Racing, and ventilated rotors measuring in at 315 mm (12.4 inches) in front and 280 mm (11 inches) in back. The brakes are servo assisted. Rounding it out are aluminum and stainless steel wheels, which come staggered at 6 by 16 inches in front, and 7.5 by 16 inches in the rear. Making the traction are tires measured at 225/55R16 in front, and 235/60R16 in the rear. Although Eagle declines to give exact numbers, rest assured only a handful of these machines will be built. If you’re interested in commissioning one for yourself, you best be clipping those coupons – pricing comes in at a whopping 695,000 pounds per vehicle, or $867,266 at current exchange rates (01/30/2017). The looks, the speed, the power, the sound – this car certainly offers a wonderful combination sensations. This isn’t some gaudy supercar – it’s a four-wheeled tribute to the excellence of motoring tradition, made for those who are passionate about cars, built by folks who get it. Few automobiles out there offer the same sort of character and presence as this. Which is why Eagle can charge damn near a million bucks for one. Everything is hand built, and the builders applied a craftsman’s eye to detail that’s very much an old-school approach. I still think these things are the most beautiful cars on the planet, and I can’t wait to see what Eagle churns out next. 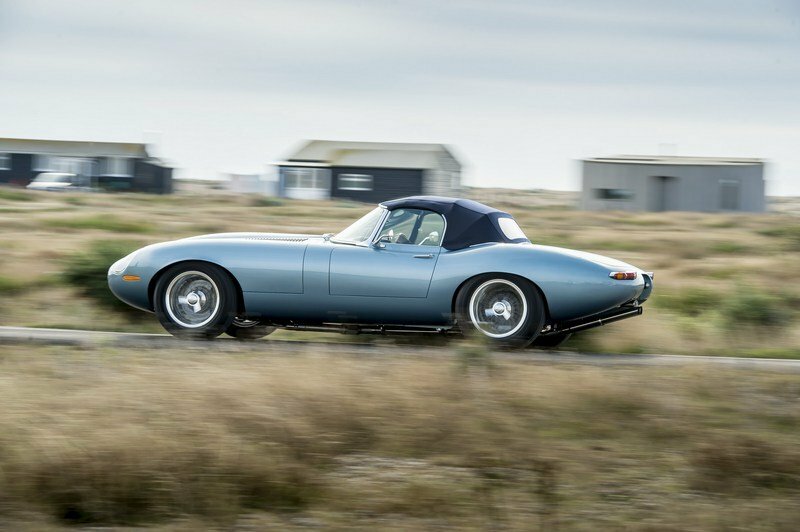 The latest addition to the world-renowned stable of’Special Edition’Jaguar E-Types that comprises the Eagle E-Type, Eagle Speedster and the Eagle Low Drag GT. First announced during the 2016 London Classic Car Show to great acclaim, construction is now complete on the very first of these hand crafted lightweight roadsters. 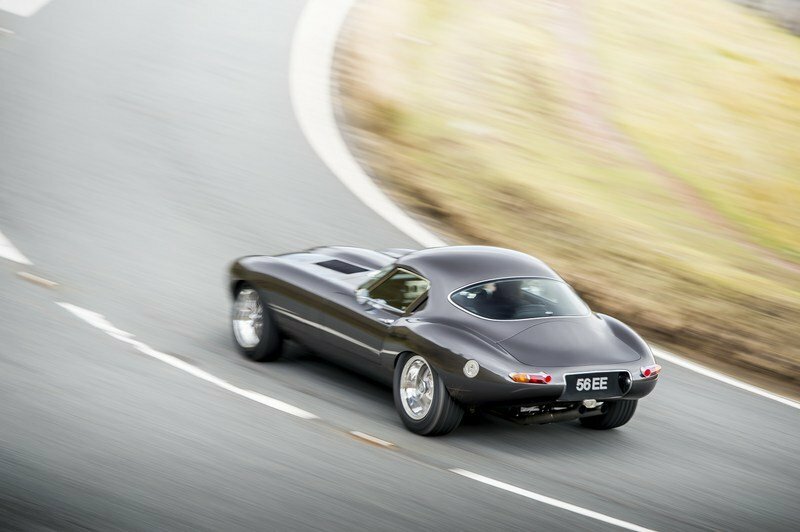 With only a very few being built, this will join the other Eagle Special Edition E-types as the most exclusive hand built cars in the world. The Spyder GTbuilds upon the groundbreaking Eagle Speedster adding a folding roof to offer the best of both worlds – whatever the weather. The 4.7 litre XK engine offers 330bhp and an impressive 340 ft lbs of torque, all in a car weighing just 1,029 kg. Extensive weight saving measures include a bespoke aluminium monocoque, aluminium gearbox, aluminium engine block and magnesium components. 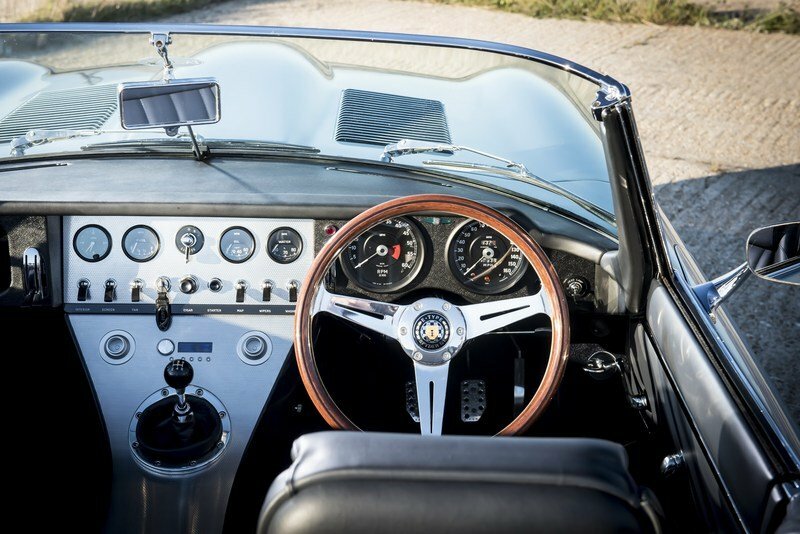 More than thirty years of singular focus on the Jaguar E-Type comes into play with this, the fourth special edition E-Type in the series, the Eagle Spyder GT. With the poise and performance of the Low Drag GT and the exquisite styling of the Speedster, the Spyder GT’s taller raked windscreen and folding roof offer the best of both worlds – whatever the weather. Completely bespoke with extensive customer options, the few produced will be the most exclusive hand built cars in the world. As with all Eagle Special Editions, the Spyder GT begins life as an original E-Type ready to be restored. The aluminium monocoque features deeper sills, a lower floor pan and wider wheel arches featuring custom 16” wheels and tyres. The bespoke, hand crafted interior features sumptuous leather and a gorgeous sweeping centre console - very much part of the Eagle Special Edition design DNA - complete with hidden handbrake lever. The attention to detail and level of finish throughout is truly exquisite. The engineering perfectly blends original and new technology and the Eagle Spyder GT offers blistering performance. With 330bhp and 340 ft lbs of torque it powers from 0 to 60 mph in under 5 seconds and pulls hard all the way to its top speed of over 170mph. From the outset, the Spyder GT was designed to perform. For long distance driving it has the calm assurance and the all the manners for touring - you sit cocooned in luxury with the view forward over the long bonnet and it’s a wonderful place to be. 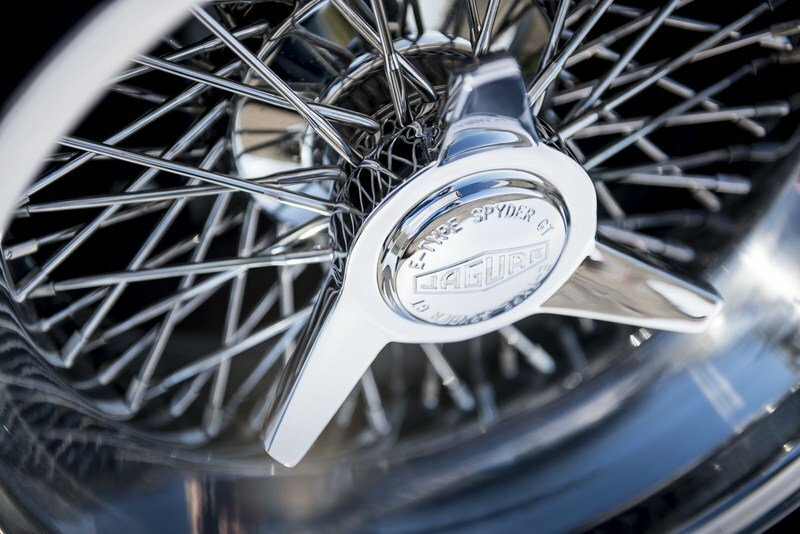 You have a solid sense of connection with the road, with precise handling characteristics gained from over 30 years of suspension development at Eagle. When you put your foot down the Spyder GT transforms into a seriously exhilarating supercar. In that instant the straight-six develops a whole new character - with so much torque the 4.7 litre engine pulls away with real intent, emitting a powerful deep growl as the exhaust barks, the crackling sounds on the overrun adding to the drama and excitement. It’s an exceptional performer by any measure. Working through the gears you quickly realise why the Eagle Special Edition E-Types have been subject of such enthusiastic acclaim. This is a driving experience like no other. With so few being built, this will join the other Eagle Special Edition E-types as the most exclusive hand built cars in the world. “We’re really proud of what’s been achieved with our E-Type Special Editions, and the worldwide reaction has made all the years of effort and dedication completely worthwhile. 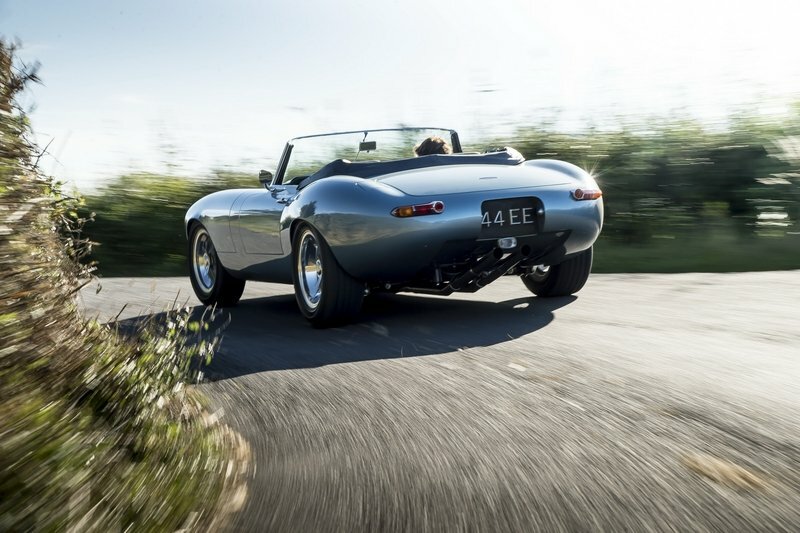 “The E-Type is such a superb car to work with, and being able to add the Spyder GT as the fourth Eagle Special Edition gives us all great pleasure. Again, the worldwide reaction has been incredible.